Case fans are a dime a dozen nowadays, so for a fan to really stand up in the crowd, it needs something different. Not just different, but unique and eye catching. Since modding is 99% about the visual appeal of a case, we think we have something that will satisfy your fan cravings, if there is such a thing. 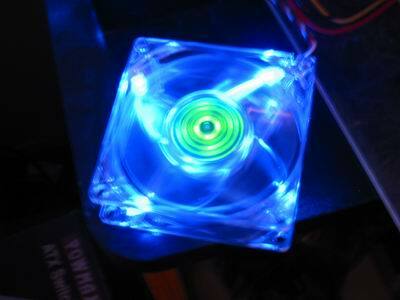 Many of you are probably thinking, these GT knuckle heads keep reviewing these lit fans, tubes, cases, etc. they all look the same to me. Well, this sample is something even I haven't seen before. 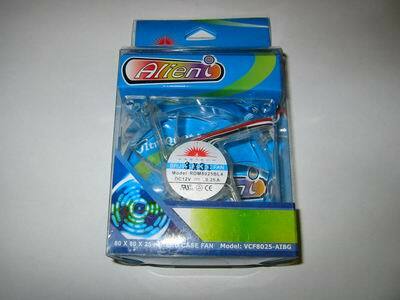 "Alien-i, put the Od back in Mod for fans that are out of this world." With a slogan like that, you can't lose! Ok, let's really see what we're dealing with. 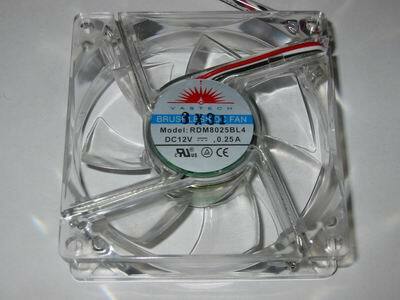 The fan is your basic clear design with four (4) Blue LEDs mounted on each corner. 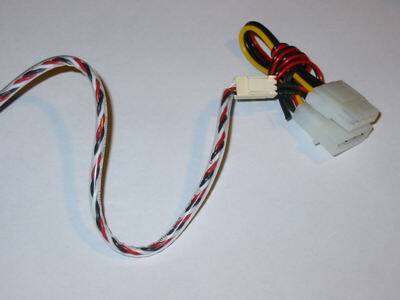 It is powered by a 3pin connector, with an extra molex splitter for your convenience. 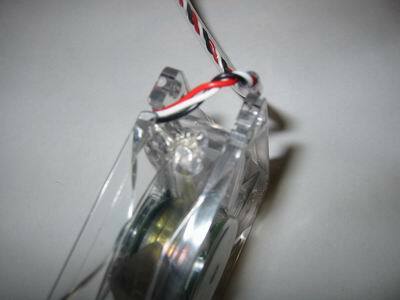 The wire from the fan is wrapped with clear plastic, which gives it a neat overall feel. Overall, the noise level is at a minimum. There is just a low hum which somewhat reminds me of my beloved Panaflos. During this review, noise/airflow was on the bottom of my list as I was more psyched to see the lights flashing on and off. The only downside is the inability to turn the lights on/off/flash/pulse/etc. It is either on or off. Not a major let down as the green 'eye' is awesome to look at. However, with a bright LED powered fan, having the option to turn the light off is a plus. Of course, you can hook it up to your fan control device and perform your duties that way. This fan is made by Vastech Inc., based out in California. Their product line is a bit odd, since they also manufacturer/sell KVM switches as well as Multimeters and RJ45/BNC testers. This seems like their initial start into the modification market? Who knows. 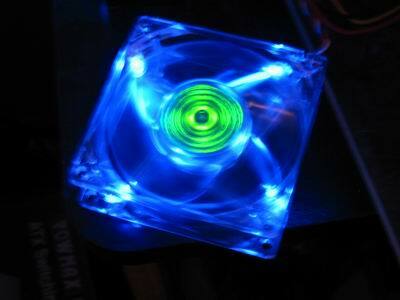 Get this fan just for the sheer enjoyment of adorning your case with some extra eye candy. Thanks to Nick from CrazyPC for sending us this sample!